You are here: Home >Special > *Bordeaux Wine River Cruises - 8 Days From $2699 US! *Bordeaux Wine River Cruises - 8 Days From $2699 US! All-Inclusive Bordeaux Wine River Cruise Special! This special 8 day river cruise takes you to Aquitaine, where some of France's most remarkable wines are produced. At the region's heart, the city of Bordeaux invites visitors to savor its grand architecture and superb museums. 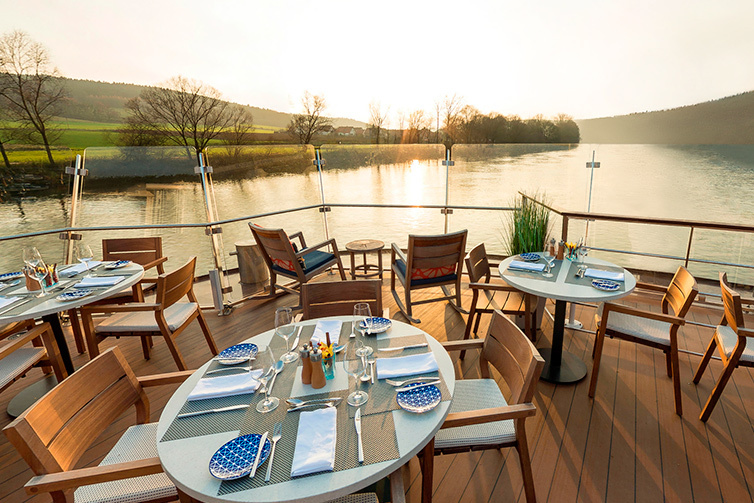 Taste wine and oysters, truffles and cognac, as you cruise the Dordogne, Garonne and Gironde Rivers. Caressed by Atlantic breezes, the vineyards that cover the rolling hills along the rivers of Aquitaine have for centuries produced France's most remarkable wines: Saint-Emilion, Pomerol, Sauternes, Medoc and Margaux are but a handful of the appellations that make Bordeaux wines world famous. At the region's heart, the city of Bordeaux stretches along the riverbank, inviting visitors to savor its grand architecture, tempting cafes and superb museums. Celebrate joie de vivre in this land of wine and oysters, truffles and Cognac, as you enjoy an in-depth view of this region and cruise the Dordogne, Garonne and Gironde Rivers. ENJOY 8 DAYS, 6 GUIDED TOURS & 1 COUNTRY! Fly to Bordeaux. Transfer yourself to the ship. The rest of the day is yours to relax or explore Bordeaux on your own. Second only to Paris in French historic monuments, Bordeaux’s thoughtfully preserved 18th-century urban areas make it a desirable film location, and its graceful port on the Garonne River is a UNESCO World Heritage Site. We remain docked overnight. Tour the city center this morning and see some of Bordeaux's highlights, including the Place des Quinconces, one of the largest squares in Europe; the neoclassical Grand Theatre de Bordeaux; and several spectacular churches. Later this afternoon, we sail upstream along the Garonne River to Cadillac, a small town with a towering castle that gave its name to the American car brand. Begin your day with a tour of Cadillac then head across the river for your excursion to Sauternes where you will learn how the area's sweet dessert wines are made, and taste some examples during your tour. Disembark this morning for a leisurely stroll to Libourne's picturesque city square, lined with buildings dating as far back as the 16th century; or take part in one of two optional excursions: an exploration of the Bergerac area in the Dordogne to learn more about truffles, a great French delicacy; or a wine tasting, at a nearby chateau, of some local vintages from the Saint-Emilion and Pomerol appellations. Later, take a tour to Saint-Emilion, a UNESCO World Heritage Site, where you see the town's superb medieval lanes and delightful views of the surrounding vineyards from the upper town. Spend a pleasant afternoon exploring the town's streets and shops. Blaye boasts an extraordinary 17th-century citadel, dramatically set on a rock beside the river, incorporating the ruins of an ancient Gothic chateau that contains the tomb of Charibert II, king of Aquitaine. Legend has it that the Frankish hero Roland, who served Charlemagne, is also buried here. 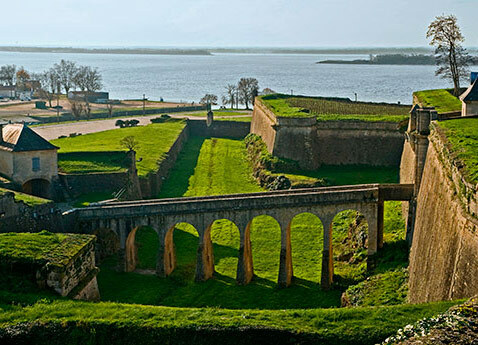 The citadel of Blaye, its city walls and two other forts are collectively listed as a UNESCO World Heritage Site. Take a guided tour of the citadel, then enjoy some free time in Blaye. Return aboard for lunch, and later take an afternoon stroll through the historic village of Bourg. Or, you may choose to take an optional excursion to the charming medieval town of Cognac, birthplace of one of the world's best-known types of brandy. Here, you will tour the Camus family business, one of the most tradition-steeped Cognac houses in the area, and try your hand at blending. We sail downstream this morning, passing islands and gentle slopes, arriving in Pauillac in the early afternoon. Enjoy a wine country tour featuring several wine-tasting opportunities, including the area's famous full-flavored Margaux. Travel through the rolling vineyard-laced hills to dinner at a chateau, accompanied by the chateau's own wines. Relax aboard your ship this evening, or explore Pauillac's marina and the Plaza Lafayette, where the Marquis de Lafayette set sail to the New World. Pauillac, the undisputed capital of the Medoc wine region, is home to Chateaux Lafite Rothschild, Latour and Mouton Rothschild, among others. Before returning to your ship, catch a glimpse of the Ile de Patiras lighthouse in the middle of the Gironde. Relax aboard your ship this morning as we make our way back to Bordeaux. You have the afternoon at leisure, giving you more time to appreciate the well-preserved architecture of Jacques Ange Gabriel and son, and to taste the city's cuisine and wine appellations. Perhaps pick up a few bottles to take home with you. You won't want to miss the Place de la Bourse, with its mirror-like reflecting pool, impressive by day but absolutely stunning at night. You also have the option of taking a full-day excursion to Arcachon, a commune on the Atlantic coast, to see the Victorian-era villas, walk on the boardwalk and taste the oysters, a local delicacy. Or, you have the option of participating in a market visit with the Viking Chef to see where the local chefs of Bordeaux find their fruit, vegetables, meats and fish. After a final onboard breakfast, disembark and travel to the airport.